ConnectIt-Workflow QuoteWerks Line Item Sort allows the QuoteWerks user to sort Line Items on the Document by any column. 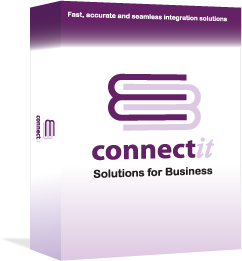 Like other products in the ConnectIt Software range, it does exactly what it says on the tin! Helps organise a Document which has perhaps been copy/pasted into the Document Items grid or imported so that you can format it for presenting to your client more easily. For a document with several 100 Line Items, can take several hours of manual manipulation down to seconds. Uses an ‘industry standard’ style of popup window so very intuitive and familiar for QuoteWerks users to use. Allows selection of which Document Item field to sort the Line Items by. Seamless integration which is invisible to the QuoteWerks User; simply click the option on the Tools menu. These online demonstrations illustrate how, using the ConnectIt-Workflow software, users‘ benefit from the efficiencies and the unique ways of working using the QuoteWerks software that the Line Item Sort module introduce. Please click on the player below to view a demonstration video of the ConnectIt-Workflow Line Item Sort utility for QuoteWerks. To purchase your copy of ConnectIt and start taking advantage of its time saving capabilities, please contact your local QuoteWerks reseller or contact us direct.